Where can I find out exactly what type of data is contained in a report? 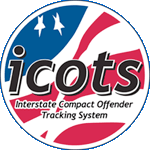 All of the reports contained within ICOTS have a section titled "Detailed Information" on the criteria screen. Clicking the plus (+) sign next to that section will expand the report description. Each description describes the data within each report and the criteria met for records to be included in the results. The external reports page contains a description of each report that includes the criteria for each report along with on what data the report can be filtered.